KAZUYUKI OKUDAIRA, Nikkei senior staff writer: Alphabet, the holding company behind Google, will cease development of bipedal robots, giving up on the prospect of early commercialization. The company is expected to dissolve the project later this year and relocate employees involved in development to other departments within Alphabet or help them find jobs elsewhere. Google entered the robotics business in 2013 by buying Schaft, a tech startup founded by University of Tokyo researchers, and other companies. But the company scaled back the business, due in part to the departure of Andy Rubin in 2014, who has led the robotics business. SoftBank Group in June 2017 announced that it had agreed with Alphabet to purchase Schaft, but one or more Schaft employees refused to be part of SoftBank, according to people familiar with the matter. SoftBank’s attempt to buy Schaft apparently broke down. “Following Softbank’s decision not to move forward with the Schaft acquisition,” an Alphabet spokesperson told Nikkei, "we explored many options but ultimately decided to wind down Schaft. We’re working with employees to help them find jobs elsewhere within or outside of Alphabet." Yuto Nakanishi, assistant professor of the University of Tokyo, and others established Schaft in 2012. 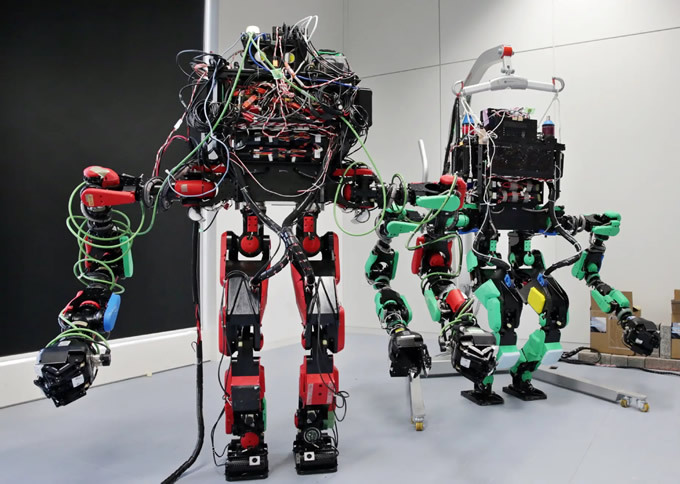 The startup has developed bipedal robots, which can be used to save human lives at disaster sites.